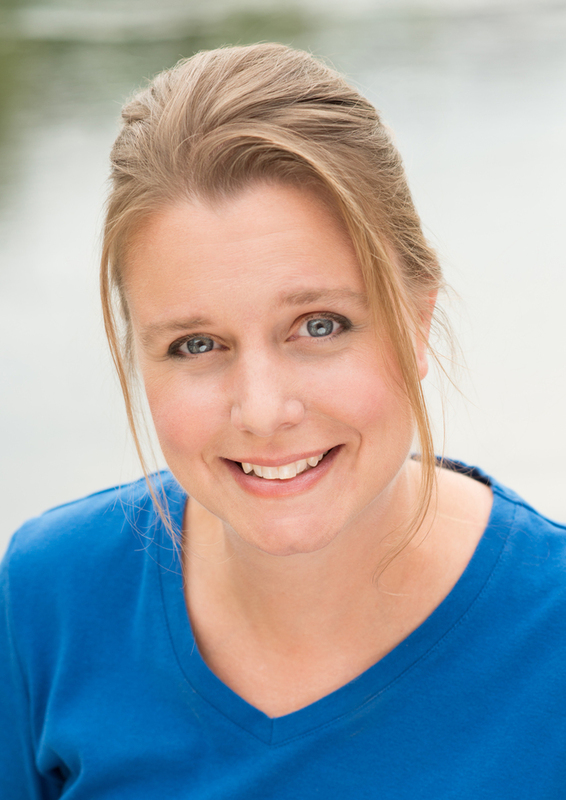 Sweet Sixteener Shea Olsen recently spoke to Fearless Fifteener Jen Brooks about her contemporary YA fantasy novel, IN A WORLD JUST RIGHT (April 28, 2015 from Simon & Schuster). Jen Brooks was born and raised in the suburbs of Boston, Massachusetts. After high school she matriculated at Dartmouth College to become a research scientist, but by the end of her sophomore year she felt a calling to the teaching profession. 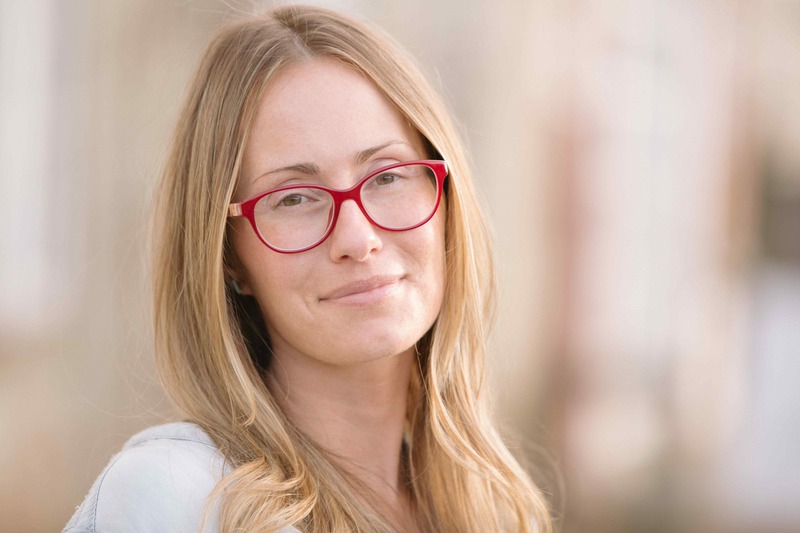 After graduation and fourteen years of teaching high school English, she answered a second calling to write full-time while raising her new son. Her journey began with two theses for an MA and later an MFA in writing popular fiction at Seton Hill University. Find Jen on her website, Twitter, Facebook, and Goodreads. 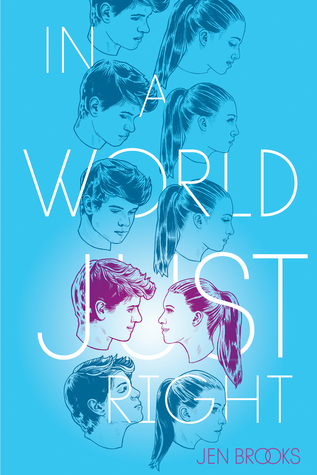 IN A WORLD JUST RIGHT is available for purchase at Amazon, Barnes & Noble, Books A Million, and Indiebound. Shea: The concept for IN A WORLD JUST RIGHT is so unique. How did you develop the idea? Jen: I was a high school track/x-country coach for many years, and one of my favorite parts of competition was the bus ride home from a meet. All the runners would either be tired from competition or excited about their performances, but either way, there was an energy to the ride. I wanted to have a scene on a bus on the way home from a meet. That’s honestly all I can remember. The actual world-making part . . . no idea. I did start out wanting Jonathan to be sought by the government or some nefarious organization looking to exploit his power—real thriller-like. In the end, I wrote a more personal story. In the end, there was no bus scene. Shea: In your teen years, did you ever imagine alternate worlds for yourself like your main character, Jonathan? Jen: Not like Jonathan, no. The Jonathan-is-a-hero world I gave him was likely the result of my imagination being tickled as a kid by the “V” television series (where humans rebel against invading alien reptiles). The rest of it was pure Jonathan and his own needs and desires. Jen: Four months. I had another book on submission to agents, and I wanted to keep writing through the waiting period. In graduate school I was told (and this is probably advice from someone specific whose attribution is lost to me) that if you write a page a day, you’ll have a book in a year. I started out one page at a time, and then one page a day became two, then three. By the end I wrote ten pages a day. This was exceptional for me because my previous two manuscripts each took five-six YEARS. As for my writing process, I would compare it to watching a movie. I sit down at the keyboard with some idea about where I’m going and start typing. I love watching what my characters end up doing. I get my best ideas while I write, so outlining just doesn’t work for me. Jen: If you want to be a writer, you have to write. My picture is in the dictionary next to “pantser.” Look it up. Being full makes me write more slowly, so I don’t usually eat when I write, unless it’s chocolate. Chocolate feeds my inner muse. Stop worrying about what everybody else thinks. Shea Olsen lives and writes in a small mountain town in Oregon, where she works as a producer for Rage Productions, a film production company. Her YA debut, FLOWER (February, 2016 from Harlequin Teen) is about eighteen-year-old Charlotte, who promised her grandmother she’d swear off boys until after college, until she meets Tate Collins—pop star and heartthrob—when he walks into the flower shop where she works, and she is thrust into a romance and a Hollywood life she never imagined. You can find Shea on her website, and Twitter. Great interview. I’m very excited for this book!